KPCouturé is a Glasgow-based fashion brand set up with the purpose of stimulating conversation on sustainable fashion. They use plastic and textiles that would otherwise be landfill and convert them into beautiful items of clothing and jewellery. 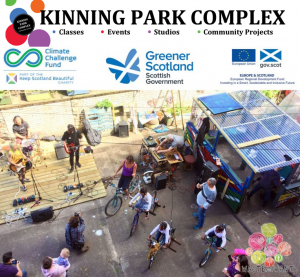 Based at the Kinning Park Complex (KPC), a multi-use community centre in Glasgow, KPCouturé was founded off the back of an initiative launched at the complex, “WASTE NOT WANT”, which has the goal of reducing the amount of waste it creates so that it ultimately becomes a zero waste building. KPCafé located within the complex receives surplus food from local supermarkets including Tesco and Marks & Spencers which a local team of volunteers use to prepare delicious meals for visitors at a super low cost. Naturally running such an enterprise creates a lot of waste from the food packaging and in particular, plastic waste. KPCouturé saw this as an opportunity and wanted to come up with a systematic way of using the discarded plastic to create new desirable products. To transform this plastic from trash to treasure, they would need to first wash the collected plastics, shred them into small pieces, melt the plastics, before finally moulding and shaping it into the new products that they would become. 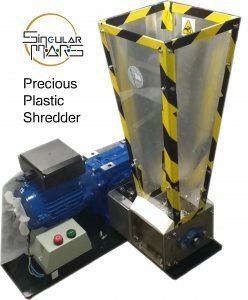 KPCouturé contacted Singular MARS in May 2017 to discuss the possibility of building a Precious Plastic shredding machine which would help to drastically reduce the amount of time needed to create these recycled plastic products, as the plastic would no longer need to be manually shredded. 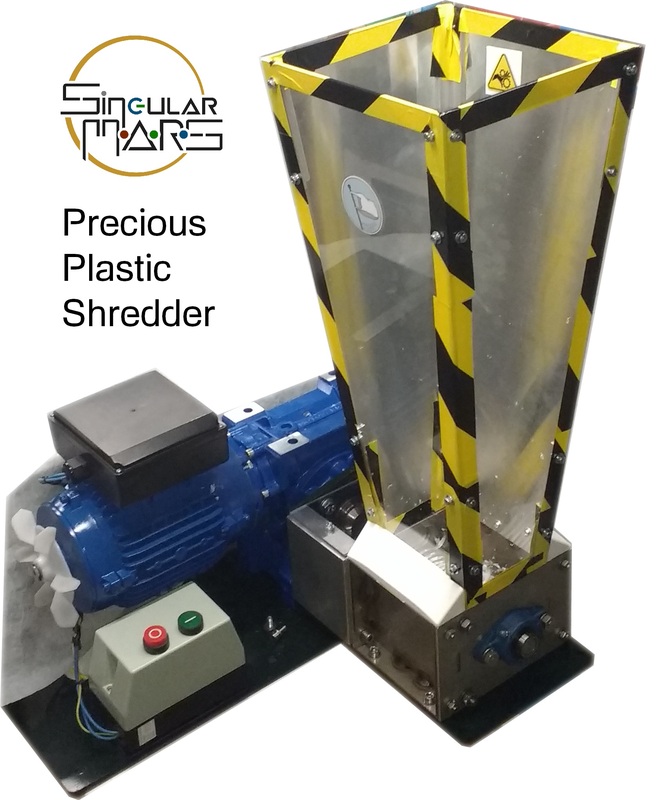 After discussing their requirements, Singular MARS got to work building a complete shredding machine fitted with an electric motor (1.1kW single phase, 18 rpm, 382 Nm torque) powerful enough to cut through thick plastics, and equipped with a polycarbonate hopper which would serve the function of allowing them to load the plastic waste in bulk above the machine as well as keeping their hands safely away from the rotating blades. Take a look at the machine in action here. Since receiving the shredding machine, KPCouturé have been able to significantly speed up the rate in which they are able to create their new recycled plastic creations. From the discarded plastic collected at the community centre complex, they have managed to create beautiful products ranging from earrings to pin badges and buttons which they sell locally alongside their recycled textile fashion line. You can take a look at some of the products they have created on their Instagram profile. Find out more about KPCouturé and the events they run in Glasgow here.